TechInAfrica – Accessing health care is the right of everyone, no matter where they locate in and rich or poor they are. This seems to go with the motto of TukAid which soon will be launched in Kenya and Nigeria to further expand across other African countries. 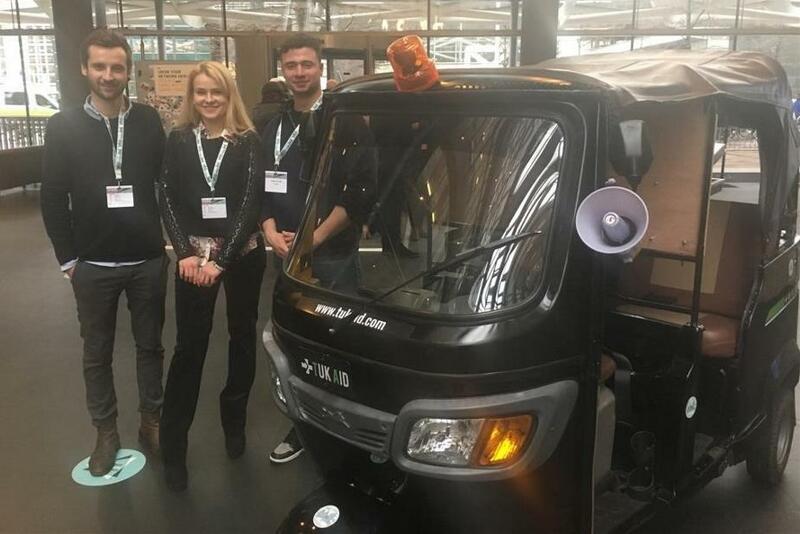 As ambulance services are fairly expensive, the innovative solution which was founded by Victoria Martynova, Jamie Boon, and Edwin de Wit, aims at providing affordable ambulances for people in emergency need. It’s basically tuk-tuk that’s turned into “Tuk-tuk Ambulance’ for faster and more affordable emergency care when needed. The idea behind the utilization of Tuk-tuk ambulances was because the normal ambulances are not only expensive but also because there are some locations that they can’t easily pass through. Therefore, TukAid was created. TukAid uses a tuk-tuk equipped with medical and technical equipment. Furthermore, there’s a made-to-measure stretcher that easily can be produced in the local area. With the tuk-tuk ambulances, they can be used in the populated refugee camps or disaster zones in the locations where standard ambulances can’t go in. Coming as representatives, Jamie Boon and Edwin de Wit attended the international youth summit, One Young World in The Hague and received an award for TukAid as the Resolution Project Award for the best socially-responsible project with a big positive impact.